I love spritz cookies! Every year we make spritz for Christmas. 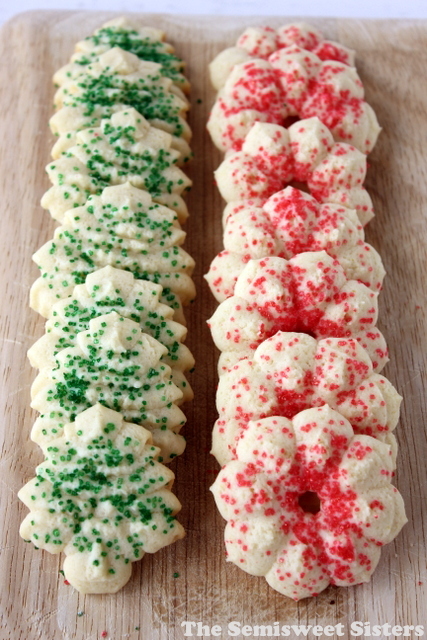 Last year I posted my families traditional Christmas Tree Spritz cookie recipe. There are so many variations of spritz cookies so this year I decided to be adventurous and try a new kind. Well my sister had the same idea so last week she made the sour cream spritz recipe that comes with the mirro cookie press. She was not impressed, she thought it was bland & too salty so I was glad I didn’t make that recipe. I decided to switch up the recipe completely & make several changes. My sister asked me which recipe I liked better, the traditional or this one, I honestly can’t decided, I like them both! Recipe makes around 80 cookies depending on how big you make your spritz & which disc shape you are using. Be careful that you push out enough dough for each cookie or it will not stick to the cookie sheet like it should. If the dough is giving you problems you could try chilling it for 20 minutes or so in the refrigerator. I never have any trouble with mine coming out nicely but I know some people do. If your looking for a cookie press Amazon has the Oxo Good Grips Cookie Press & the Wilton Cookie Press both come with several pattern discs. Mix softened butter & sugar together. Mix in egg, vanilla, & sour cream. Add in flour & baking powder & mix until well combined. Add to cookie press fitted with a disc (tree, flower, wreath, etc.). 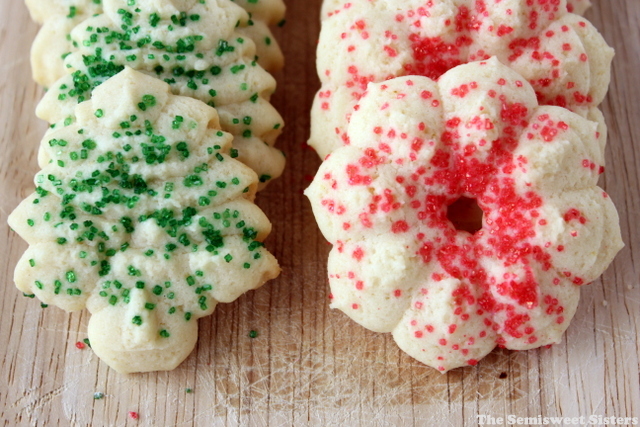 Use cookie press to press dough onto ungreased cookie sheet. 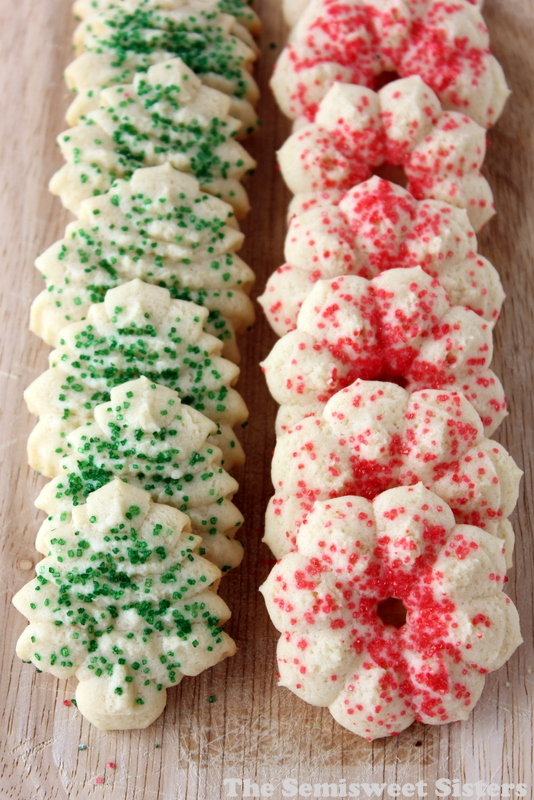 Top cookies with sprinkles.